Actually, it's been looking for a couple years. A show as popular and cult-like as this one is hard to come by and the Alphabet Network has been looking to have something ready to take on that mantle. "Flash Forward" will likely be that show. It's good, real good. Well written, compelling characters that are expertly cast, and talented direction I might add (Goyer redeems himself for "Blade 3"). The story is sci-fi set in the present day world and it's twist is a hook that will keep people watching week after week to find out what's going on. Just as Lost was filled with strange mysteries and plot points we couldn't understand (hello, Dharma Initiative), but would watch week after week to get the answer, so FF has these important story lines as well. Many people will draw parallels between the two shows, but if I had to pitch it I'd go with this: "What if Lost and Heroes had a child named Jack Bauer?" That crudely would describe the show in a high-concept nutshell. David S. Goyer has fashioned a show that's rich in characters and drama wrapped in a mystery disguised as a thriller. If you don't know what Fast Forward is, well imagine a story following several different people around the world as they try and piece together the reason for a massive worldwide blackout that happens one morning. Imagine if you and everyone on the earth suddenly lost consciousness and saw for those two minutes what your life would be like six months from now. What if what you saw was something horrible or an event you had waited for all your life. Would it be something that you could change? Could it be something that is man-made? And most importantly, why? If you want to be drawn into this world then tune in that new HDTV to the ABC Network tomorrow night and become part of the next Lost. I've already seen this show twice and I'll be watching it again when it premieres. It's really that good. I can't wait to see how the story progresses. I love Lost and it will probably always be my favorite show. 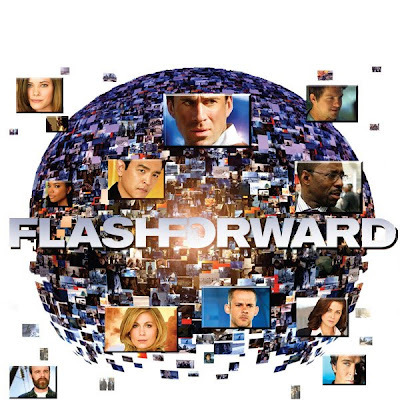 But I'm so excited for FlashForward, I've been waiting to see this show for months!! Great show. Can't wait to see what happens and how they explain it. Gotta love that Flash Forward included a billboard for Oceanic Airlines and its perfect safety record! I saw that poster and it was so awesome!! The show itself is great, I really enjoyed it. I'm so interested to see where it's going.